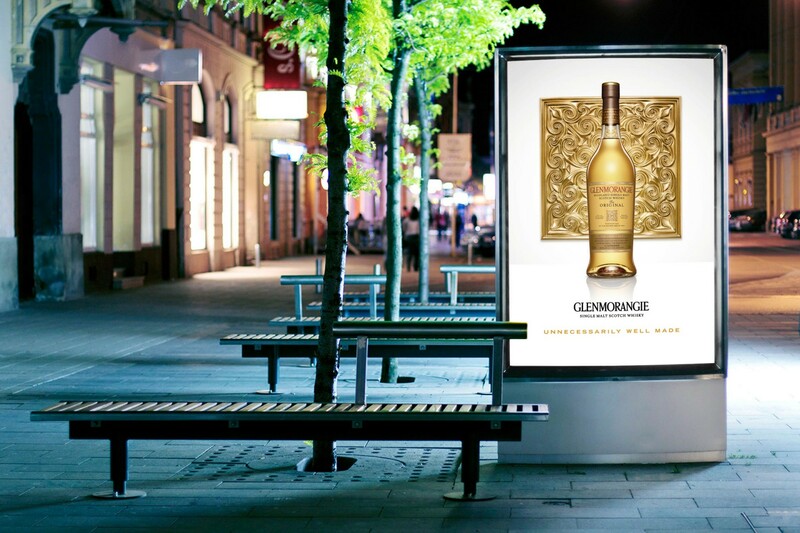 Glenmorangie approached BSUR with the challenge of raising global consumer awareness for the brand. 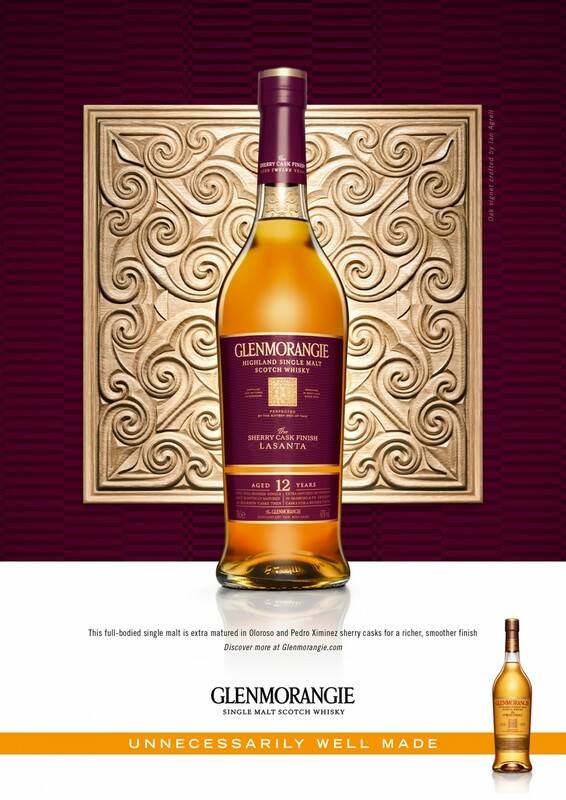 The objectives were to establish a luxurious feel to quintessential Scottish products and highlight Glenmorangie’s attention to detail philosophy. 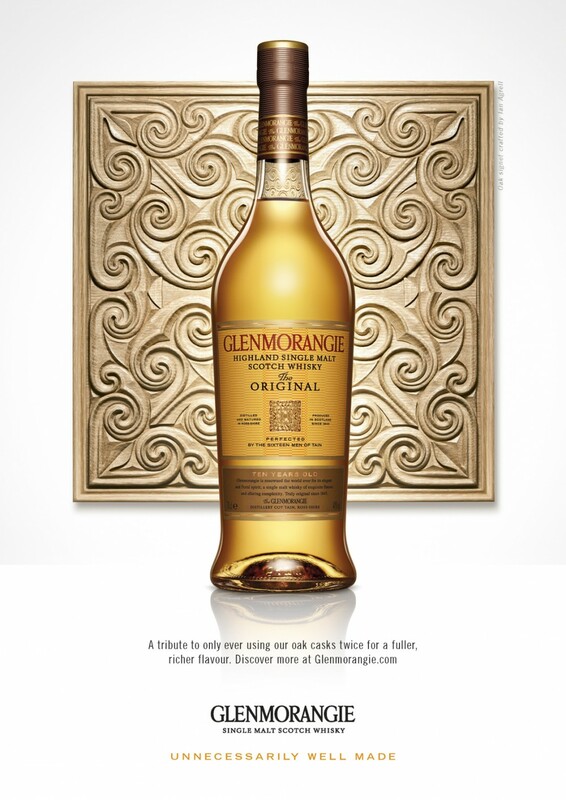 Glenmorangie is as discerning as the people who drink it. Glenmorangie’s Signet logo was recreated by hand in two different crafts - wood and copper – to reflect two of Glenmorangie’s signature brand narratives. 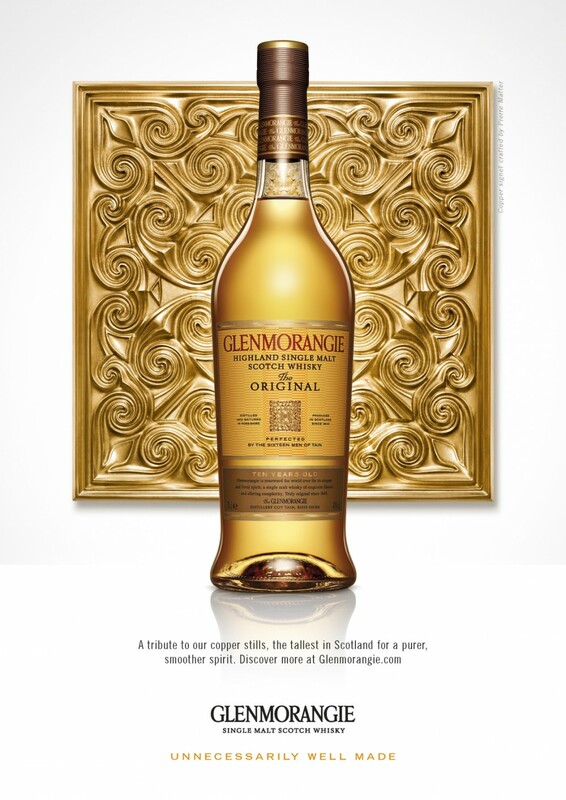 The bottle of the iconic Original takes centre stage in imagery, the artwork behind, represents the unseen lengths that go into creating Glenmorangie whisky.